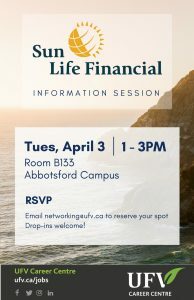 Don’t miss the upcoming Sun Life Financial Information Session. 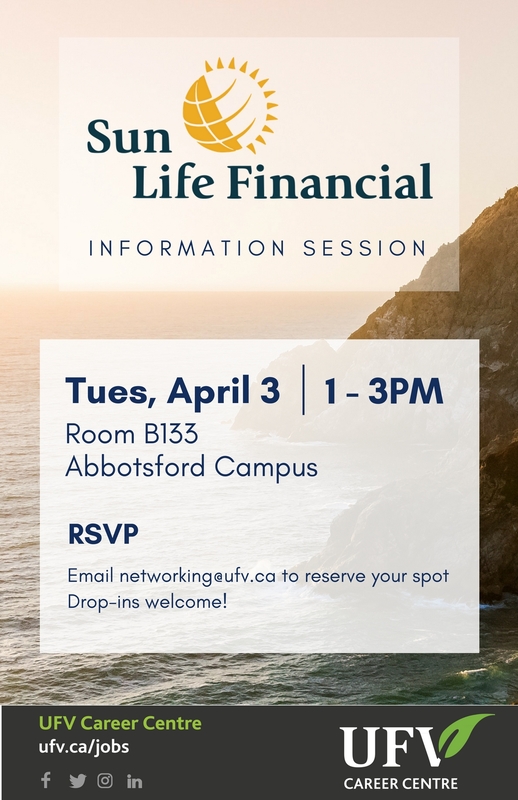 This is an excellent opportunity to hear a brief presentation and to learn more about the role of financial advisor. You will also be given the chance to network with representatives from the company. There will be free food!